Toby Dershowitz is the vice president of the Foundation for Defense of Democracies (FDD), a Washington, D.C.-based advocacy group that hosts a passel of neoconservative writers and activists, including Clifford May, Reuel Marc Gerecht, Michael Ledeen, John Hannah, James Woolsey, Lee Smith, Emanuele Ottolenghi, and Andrew McCarthy. According to its website, FDD “was founded shortly after 9/11 by a group of visionary philanthropists and policymakers to support the defense of democratic societies under assault by terrorism and militant Islamism.” The organization is notorious for its advocacy of militarist U.S. policies in the “war on terror” and Israel-centric take on Middle East peace. Dershowitz is also president of the the Dershowitz Group consulting firm, and serves as treasurer of the Friends of the European Foundation for Democracy, a U.S.-based philanthropic group that supports the Brussels-based European Foundation for Democracy, a think tank that has been closely aligned with neoconservative advocacy efforts in Europe and hosted Islamophobic writers like Walid Phares. In both her FDD and Dershowitz Group bios, Dershowitz neglects to specify which lobby she served for “14 years as the Spokesperson and Director of Media Relations.” That lobby was the American Israel Public Affairs Committee (AIPAC). During her AIPAC stint, Dershowitz often commented on issues of concern to AIPAC. For instance, in a 1996 Philadelphia Inquirer story published during the lead up to the first U.S. visit of then-newly elected Israeli Prime Minister Benjamin Netanyahu, Dershowitz—who is identified as the spokesperson for AIPAC—is quoted as saying: "It's not like, 'Who the hell is this guy?' We know the prime minister quite well. It's not quite like a whole brand new thing, but there will be an adjustment. There will be a transition period." Among the Dershowitz Group’s clients has been the Set American Free Coalition, a neoconservative-led group that has pushed for energy independence as a way to distance the United States from the influence of oil-rich Arab states. The group’s chair once said: “Because so much of the oil we import comes from countries that hate us, we’re actually helping to bankroll terrorists that hunt us. As long as our cars can only run on gasoline, we’ll continue to be held hostage.” (For more on the “green” politics of neoconservatives, see Ali Gharib, “Green Security?” Right Web, November 30, 2008). 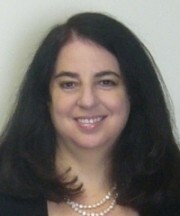 She is coauthor with Claire Landers of Communicating with the Media: The Pro-Israel Activist's Manual (1990) and author of The Reagan Administration and Israel (1987). Both volumes were published by AIPAC. See Friends of the European Foundation for Democracy 2009 Form 990, available at www.guidestar.com. Dershowitz Group, "Toby Dershowitz," http://www.dershowitzgroup.com/toby/. Peter Slevin, “Netanyahu’s U.S. Visit," Philadelphia Inquirer, July 7, 1996. According to a Washington Daybook press release from May 22, 2007, “The Set America Free Coalition to Cut Oil Dependence hosts an address by Sen. Sam Brownback, R-Kan., 2008 presidential candidate, on America's energy security policy, as part of the coalition's ‘Primary Energy '08: Presidential Candidate Series.’” The contact person for the event was Toby Dershowitz,202-250-6104, Toby@DershowitzGroup.com.